Homematas, we are Preston’s leading kitchen design specialists. As a result, we have produced this guide to stylish tips for black kitchen cabinets. Contrast your cabinets with white- white and black are two colours that balance each other effectively. And with black kitchen cabinets, you could consider using a white sink or white counter-tops to create a striking effect. 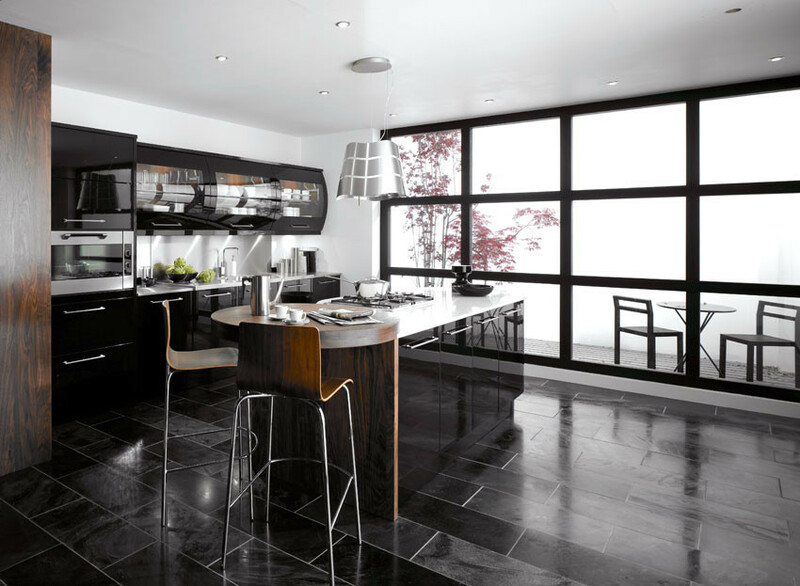 Warm with wood- Just like a full white kitchen suite, a black kitchen suite can also feel quite cold. This can be countered with the effective use of natural wooden elements. Timber worktops can be stunning when paired with black cabinets, but a hardwood floor could also be a good option too. Brighten up- from your wall tiles to your accessories, you can add a touch of colour to any black kitchen suite to add personality and light. For example, a tiled kitchen splash back could use a bright secondary colour to really help brighten your kitchen up. Go for gloss- if your kitchen does not have a lot of natural light, but is well lit with artificial light, a gloss kitchen could be the perfect choice. The glossy surfaces will reflect the light and brighten up your black cabinets. For more information or advice, get in touch with the experts today, here at Homematas.